Archie’s playing career took him to a number of clubs within the Scottish game with the highlight being a Scottish Cup Final appearance for Dundee United against Celtic in 1974. He would also enjoy an immensely rewarding career as both a manager and assistant at his old club Forfar Athletic in 1976. A trophy laden spell at Aberdeen as assistant to Sir Alex Ferguson was followed by a successful spell as manager of Dundee FC. Knox returned to Aberdeen alongside Ferguson in 1986 and both would move to Manchester United soon after. Archie helped Fergie to turn around the fortunes of the Old Trafford club which had long been struggling to live up to past glories. 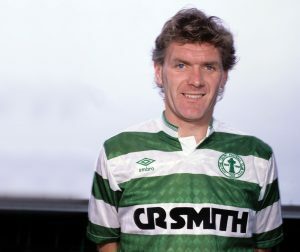 In 1991 he moved back to Scotland to team up with Walter Smith and was part of the management team which helped the Ibrox side achieve nine titles in succession. 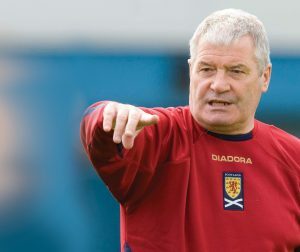 Knox would go on to coach at a range of clubs north and south of the border and can reflect on a coaching career which includes winning the European Cup Winners Cup, the UEFA Super Cup, five Scottish Cups, three Scottish League Cups, six Scottish Premier Division titles as well as the FA Cup. At national level, he was assistant , to Craig Brown, for three years as well as being a coach to the national team, and also manager of the under 21 side. An Airdrieonians and Rangers legend, John “Ian” McMillan enjoyed a long career spanning 18 years. 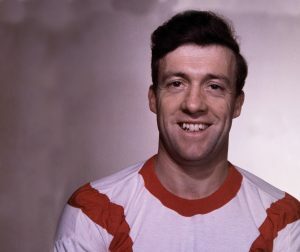 Nicknamed the Wee Prime Minister, the inside forward’s first spell at Airdrieonians spanned 10 years, lasting from 1948 to 1958, and he returned to Broomfield for a further two years in 1964. Ian made 301 appearances with the Lanarkshire club, scoring 119 times. In between his spells with Airdrie, McMillan spent six successful years with Rangers, scoring 36 times in 127 league games. During this period the Ibrox club won four Scottish League titles, four Scottish Cups, three Scottish League Cups, were European Cup semi-finalists in 1960 and European Cup Winners Cup finalists in 1961. At international level, Ian won six caps for Scotland, scoring twice. Incredibly he remained part-time throughout his playing career, pursuing a career as a qualified quantity surveyor. An outstanding footballer and ambassador for women’s football in Scotland. Julie began her football career with Prestwick Girls which later became Ayr United Ladies. She was called up to the national under 16 team at the age of 14 and made her senior debut at the age of 15. 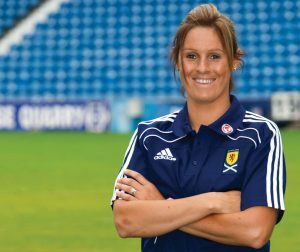 By 2001 Julie was captain of the national team and her exceptional performances in the dark blue of Scotland generated wider interest. After 9 years with Ayr United Julie moved to California in 2002 to play for San Diego Spirit. In doing so she became the first Scot to play as a full-time professional in the Women’s United Soccer Association. She briefly returned to Scotland to play for Ross County Ladies before landing another big move to Arsenal in 2004. Julie was an integral member of the all-conquering Arsenal side and appeared for the club in the inaugural FA Women’s Super League in 2011. At club level Fleeting has won the UEFA Women’s Cup, the Scottish Women’s League, the Scottish Women’s Cup, the FA Cup, and FA Premier League numerous times, winning 17 major trophies in total while at Arsenal. Short spells at Valur in Iceland, Kilwinning Ladies, Celtic Ladies, and at Glasgow City brought down the curtain on a glittering club career. At national side she captained Scotland for eight years, gaining 121 caps and remains top goal-scorer with an incredible tally of 116 goals.